Business description - Rajnish Wellness is engaged in the business of selling various products in the categories ranging from consumer durables to ayurvedic personal care products. The company’s major focus area is sexual wellness, energy revitalization and personal care products. Its current product portfolio is concentrated on ayuvedic products. The company is exploring ethical market in sexual wellness and energy revitalization category. Recently, the company newly launched Play win spray in this category. 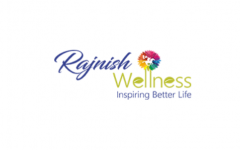 Rajnish wellness has very strong hold in Maharasthra, Uttar Pardesh, Karnataka, Bihar, Odisha, Delhi, Jharkhand, Madhya Pradesh, Uttarakhand, Haryana and West Bengal. Its products are available in all major medical stores in these states. The company runs on asset light model and owns all the brands unders its name. Rajnish is sourcing all its products from dedicated manufactrurers since inception. It has outsourced all its manufacturing needs to various suppliers. Rajnish Wellness IPO allotment status is now available on Bigshare Services' website. Click on this link to get allotment status.